Check out the winners for our Part 2 of Capdase Powerbank Giveaway. 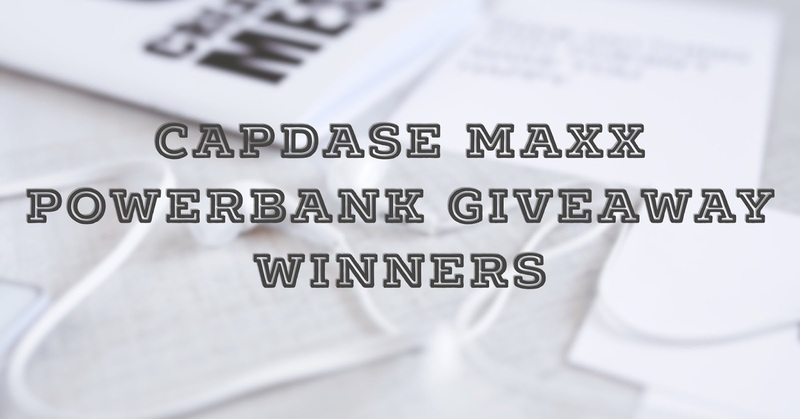 We have the winners for our Capdase Maxx Powerbank Giveaway Part 2! We have been receiving tremendous response with this series of giveaways – thank you very much! So let’s not keep you waiting, these are the second batch of winners! Minor prize winners are still eligible for the upcoming Capdase Maxx Giveaway Part 3 which will roll from November 4 to November 18. You will be contacted through Facebook Messenger for your claiming code. Good luck for the Capdase Powerbank Giveaway Part 3!